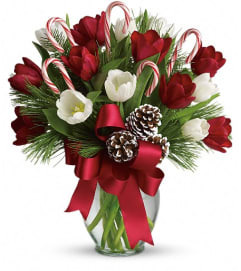 Capture the spirit of the holidays with this gorgeous arrangement. 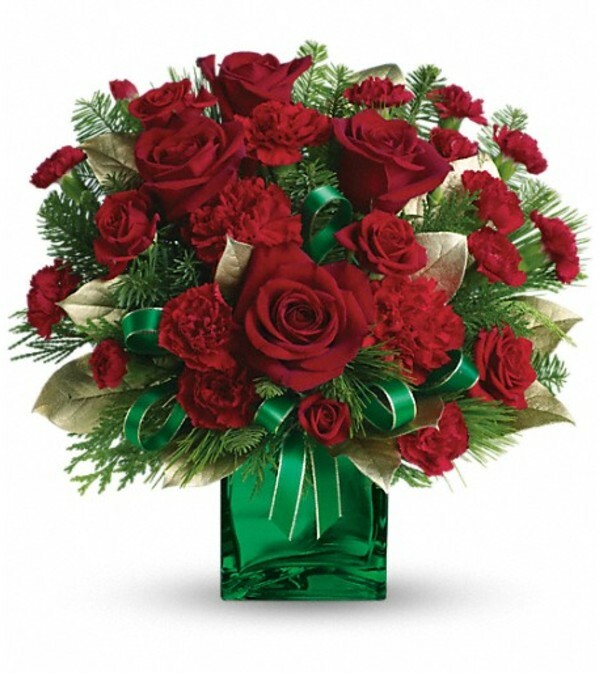 Red roses arrive in our festive green mirrored cube. 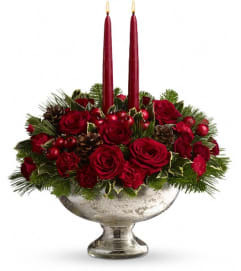 Red roses, spray roses, carnations and miniature carnations are accented with assorted greens. 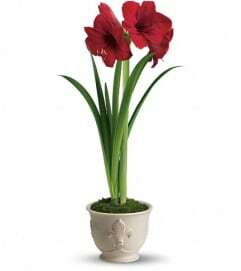 Delivered in Teleflora's green mirrored cube.